Ukraine’s President Viktor Yushchenko has suggested on Tuesday a constitutional reform that would transform the now one-chamber parliament into a bicameral body and also cut presidential powers. He made the statement in his annual address to the parliament – the last one before the end of his term in January 2010. 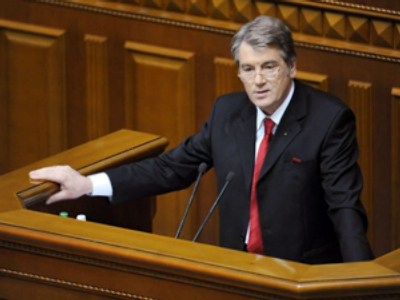 Yushchenko wants the lower chamber to represent political forces and be elected on party lists, while the upper chamber he says should be made up on the majoritarian principle. “Ukraine needs a European-type parliament – the National Assembly – based on political and territorial representation,” the president said in his address. Still, the Ukrainian leader noted that election on party lists “has become outdated and destroyed the efficiency of government.” That is why the upper chamber – the Senate – is supposed to work more closely with the president and approve his or her decisions in the fields of defense and security. Viktor Yushchenko also proposed to reduce the number of deputies and deprive them of immunity against prosecution. He believes these measures will help to settle the continued political crisis in Ukraine. “The inability to form a government would only lead to the dissolution and early election of the lower chamber, while the parliament as a whole would preserve its efficiency,” the president said. During Yushchenko’s term parliamentary elections have been held twice – in March 2006 and September 2007. The last one was a snap election. Last year the parliament was also on the brink of dissolution, when the president signed a special decree but then had to revoke it because of the financial crisis. Unexpectedly enough, Yushchenko came up with the idea to ‘overcome the dualism of the executive’ and give the government more power. According to the proposed scheme, the government will be formed by the winner in the parliamentary election, without any involvement of the president. The cabinet, ‘needs to be independent’ to assure domestic and foreign policy. The presidential power thus limits itself to representative functions such as guaranteeing sovereignty and territorial integrity. 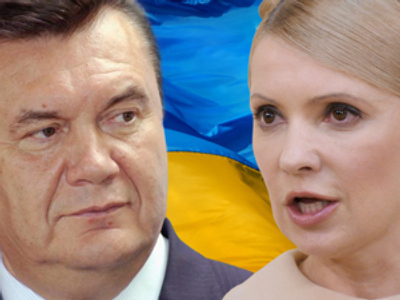 Observers believe the reform is meant to reduce political weight of his two rivals Yulia Timoshenko and Viktor Yanukovich, who are expected to be front-runners in the presidential campaign. President Yushchenko himself is extremely unpopular and will likely lose if he decides to stand for re-election. Parliamentarians have been wary of the constitutional change. 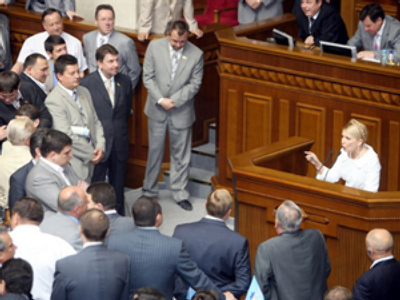 The Supreme Rada of Ukraine is a unicameral parliament comprising 450 seats. Deputies are elected on party lists for five years. In 2006, following the Orange Revolution, the parliament got a part of presidential powers, including the right to approve the candidatures of prime minister, defense and foreign ministers submitted by the president and other cabinet ministers proposed by the prime minister. “It’s a bad sign. Let’s leave this alone. 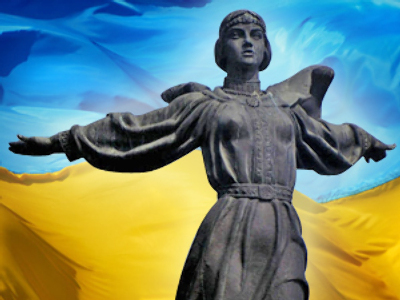 We’d better think about making the parliament and the government efficient,” stated Nikolay Tomenko, deputy speaker of the Supreme Rada, member of Yulia Timoshenko’s bloc.